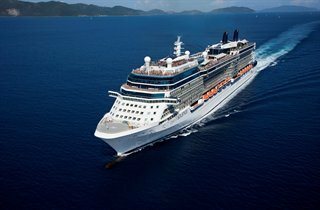 Celebrity Solstice® is one of the more decorated ships at sea. So it's no wonder that it's full of "firsts." Like the first Lawn Club at sea. The first Hot Glass ShowSM. Some other things that set Celebrity Solstice apart are its specialty restaurants. Celebrity's passion for outstanding cuisine has taken the restaurants, the food and the overall dining experience to a whole new level in the cruising world. Celebrity Solstice also has the AquaSpa® by Elemis® and fitness center, where you can pamper yourself with spa treatments or push yourself in a workout with one of the trainers. If only life on land was as good as life on Celebrity Solstice. Newcastle is located on the eastern seaboard of Australia at the mouth of the Hunter River. Founded as a penal colony coal deposits, Newcastle today is a modern thriving center and Australia’s sixth most populated city. It is a city with beautiful scenery, parklands and historical buildings with its bustling and important role as a gateway for commercial shipping. Yorky's Knob is situated in eastern Australia, on the coast, and is nearby the beauty of the Great Barrier Reef. Neighbor to Cairns, this idyllic stretch of land has beaches, shopping and a top-notch marina. From the stunning sweep of its 4 Mile Beach to the wilderness of Dicksons Inlet, the world famous seaside village of Port Douglas has become an international holiday mecca. Port Douglas has a distinctive "laid back" low rise tropical old world charm, with an extensive range of accommodations and international shops and restaurants. It also offers extensive touring and cruise options with its magnificent marina and close proximity to world heritage rainforests. In Port Douglas you can also chose from activities and attractions such as bicycle riding, swimming, relaxing on magnificent 4 mile beach, shopping the exotic and colorful Sunday markets, the Shipwreck museum, the award winning Rainforest Habitat with its unique native flora and fauna, and a ride on the old sugar cane train. The Port Douglas hinterland extends to the sugar cane town of Mossman with picturesque golf course, rainforest walking tracks and swimming in the cool mountain streams of Mossman Gorge. Willis Island has several birding opportunities, as well as a weather station with some amenities. Rates are cruise only, per person, based on double occupancy. Taxes, Fees and Port Expenses of $236.25 additional for all guests. Rates are subject to availability and may change without notice. Restrictions may apply.